Properties in Baja California Sur average 4.7 out of 5 stars. DOWNTOWN Studio # 1. King size bed. LOCATION, LOCATION, LOCATION !!! Property 1: DOWNTOWN Studio # 1. King size bed. LOCATION, LOCATION, LOCATION !!! Pescadero Palace 1BR Ground Floor Casita w/swimming pool, Jacuzzi, on the beach! Property 4: Pescadero Palace 1BR Ground Floor Casita w/swimming pool, Jacuzzi, on the beach! Endless Summer Luxury Surf Condo! Panoramic Surf Views! Beachfront complex! Property 5: Endless Summer Luxury Surf Condo! Panoramic Surf Views! Beachfront complex! MK A102- Two Bathroom Ground level at Mykonos. Property 6: MK A102- Two Bathroom Ground level at Mykonos. Prime Todos Santos Studio - Steps from the Beach! 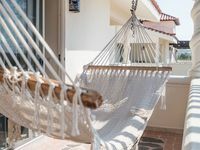 Property 8: Prime Todos Santos Studio - Steps from the Beach! Steps to Cerritos, Safest and Most Beautiful Swimming & Surfing Beach in Baja! Property 9: Steps to Cerritos, Safest and Most Beautiful Swimming & Surfing Beach in Baja! 2 Blocks from the water, Bottom Floor Cozy 2 bedroom downstairs apartment. Property 10: 2 Blocks from the water, Bottom Floor Cozy 2 bedroom downstairs apartment. Beachfront, Sea of Cortez, Wi-Fi, White Sandy Beaches, Pools. Property 12: Beachfront, Sea of Cortez, Wi-Fi, White Sandy Beaches, Pools. Brand New One Bdrm in a New House With Amazing Club House Facilities! Property 17: Brand New One Bdrm in a New House With Amazing Club House Facilities! A short walk to the beach ! Property 20: A short walk to the beach ! Beautiful and CHEAP !! CABO!!!!!! Villa Del Palmar Cabo!! Property 21: Beautiful and CHEAP !! CABO!!!!!! Villa Del Palmar Cabo!! Spectacular 4 BR OCEAN VIEW PENTHOUSE ! Property 23: Spectacular 4 BR OCEAN VIEW PENTHOUSE ! Cozy Casa by the Bay. Top floor 2 bedroom apartment. Property 31: Cozy Casa by the Bay. Top floor 2 bedroom apartment. 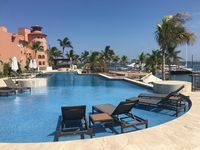 Ocean Front Condo Villas De Cortez Resort, Overlooking Pool. Property 34: Ocean Front Condo Villas De Cortez Resort, Overlooking Pool. Chic Todos Santos Apt. w/ A Rooftop & Pool Access! Property 43: Chic Todos Santos Apt. w/ A Rooftop & Pool Access! Amazing 2 bedroom POOL FRONT and Jacuzzi Condo! Property 44: Amazing 2 bedroom POOL FRONT and Jacuzzi Condo!